Late last week, in Zhejiang province's Songyang county court, ten men were sentenced to prison terms of up to two years. These men didn't commit super heinous crimes, but they did commit a terrible one: they were found guilty of hacking and defrauding over 10,000 World of WarCraft accounts. The sentence hearing and the results were posted by Zhejiang Online. The culprits, five of them named Chen, Ma, Zhu, Zhi, and Wang, were arrested earlier this year for hacking and defrauding over 10,000 Chinese gamers through a series of online transactions. 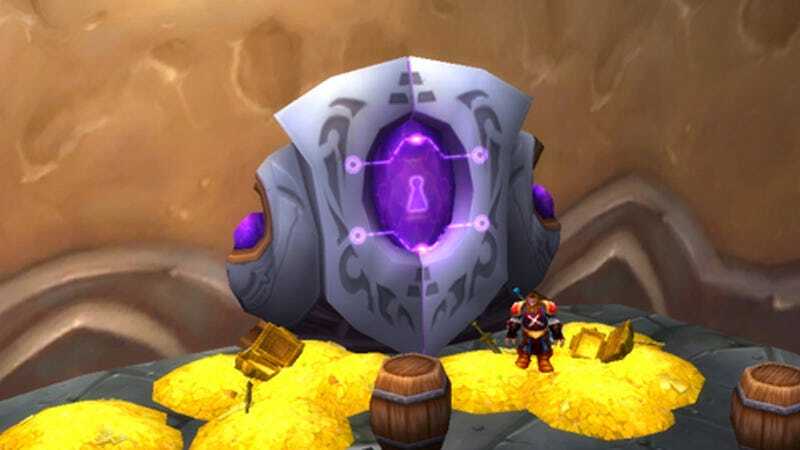 Basically, Chen had set up a small workspace where he and some of his compatriots stole WoW login information. Well, "stole" isn't the right term, as Chen and his cohorts didn't exactly go out and steal the information: Chen had purchased stolen WoW accounts by various shady means for about $1 a piece. After receiving these accounts, Chen proceeded to empty them out, selling the accumulated gold and gear for about $3 per account. Eventually, after learning how to flip WoW accounts, Zhu started his own "studio" and he hired some workers to help him. After a series of complaints an investigation was launched, and it was discovered that together, Zhu's and Chen's groups flipped and stole from over 11,500 WoW accounts, earning them at least $10,800 in profit. After being caught, Chen and his cohorts were charged with various technobabble crimes. A lengthy trial later, Chen was sentenced to two years in jail and fined $8000, whereas the rest were sentenced to little under two years and fined around $1000. All of their ill-gotten gains were confiscated by the state as well as all the computer equipment that they used to get them. It's unknown what exactly happens to cybercriminals in Chinese jails, but having heard stories from American foreign service officers based in China, Chinese jail's a place I wouldn't wish on most people. So far there's no word on how the trial and sentence would affect the WoW players affected by Chen and his cohorts.